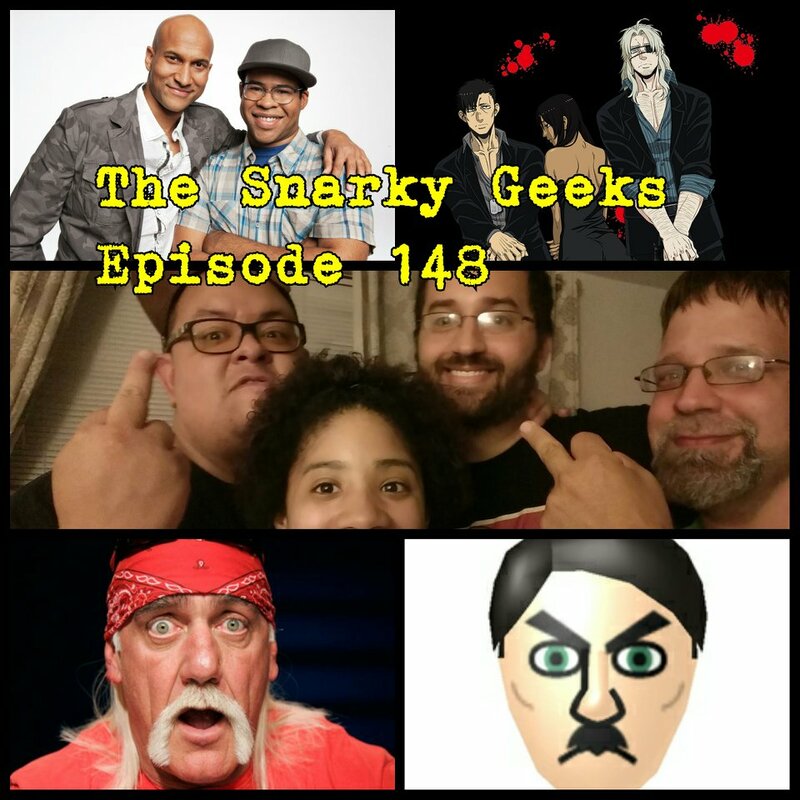 Snarky Geeks Episode 148 - ...The Hood Nerds! The Snarks finally all gather once again! These hood nerds pontificate on Bryan Hitche's JLA, 8House, The Island, Categorical Fandoms and fetishes, Story Cycles from the big 2, Key and Peele ending, The anime Gangsta, Dragon Con, Comic Con, Cosplay, Steven Universe, Hulk Hogan's racist comments, Chris Benoit, Why the hate for TNA wrestling?, Tamagotchi Life Hitler, Ant-Man, Batman v Superman, Suicide Squad, and much much more! Enjoy this extra long confo of debauchery! .... you really have to listen to the whole show!